As 2017 draws to a close, the budget smartphone category is more clustered than ever. The sub-10K category has a host of phones which can be your next smartphone, depending on what you prefer as a user. 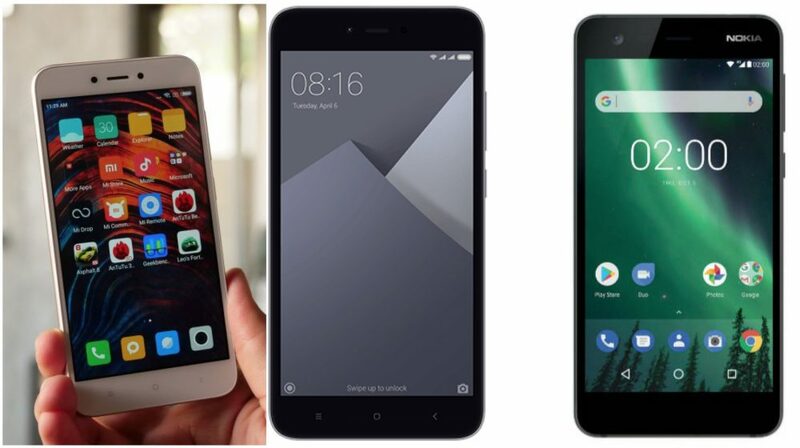 We recently compared the Xiaomi Redmi Y1 Lite and the Nokia 2 and with the launch of the Redmi 5A, it is time to revisit the comparison and see how trumps this time. With the Redmi 5A in picture, it looks to be a better choice than the Redmi Y1 Lite and the Nokia 2. It has more RAM and storage at the same price but, Nokia 2 continues to rule the battery department. If stock Android is your thing and you can deal with a much slower chipset, then the Nokia 2 makes more sense. But, if you go by performance stand point and nothing else, the Redmi 5A is the clear winner here. Nokia 2 what a waste. In 2017 generation they are offering disgusting technology like TFT in screens. And providing 1GB RAM which is extinct nowadays with terrible 8GB memory only. If big screen is not your thing go with REDMI 5A, an amazing deal.